Voting for the 2019 General Student Council (GSC) at CNU begins today, November 20, 2018. This voting continues till Thursday, November 22, 6 p.m. Lee Myeong-no (Senior, Faculty of Earth Systems and Environmental Sciences) and Kim Gwang-myeong (Senior, Dept. of History) registered as the candidates for the 2019 GSC President and Vice President. The candidates need over 50 percent of the total turnout, which means they have to receive votes from more than half of the current CNU students in order to be elected. Lee Myeong-no said, “We will try to solve on-campus problems rather than participating in social or out-of-campus problems. We will endeavor to operate the GSC focused on student welfare and culture, and communication with students.” Park Kyung-dam (Senior, Dept. of Agricultural Economics), chairman of the CEMC, said, “We hope many students take part in the GSC election. The committee has been doing our best to encourage students to participate in the election." 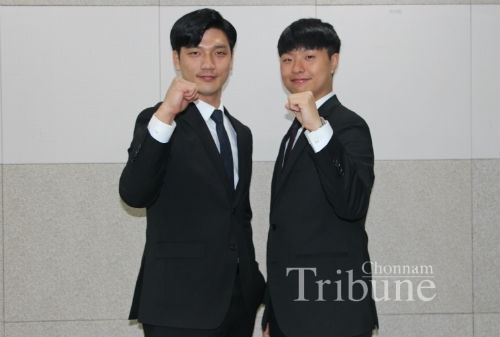 The candidates started the election campaigns on November 5 around Yongbong and Hakdong campuses.